Charlito’s Cocina produces fine meats and dried sausages from scratch by hand in an age old traditional process know as charcuterie. As a growing company with new manufacturing facility being built, Charles, aka “Charlito”, required a completely new web e-commerce solution to sell and promote his dried meats and sausage products. With Charlito’s logo brand and packaging already in place, we first set forth to update the product line with new photography that could be showcased on their e-commerce store and be utilized in marketing materials. 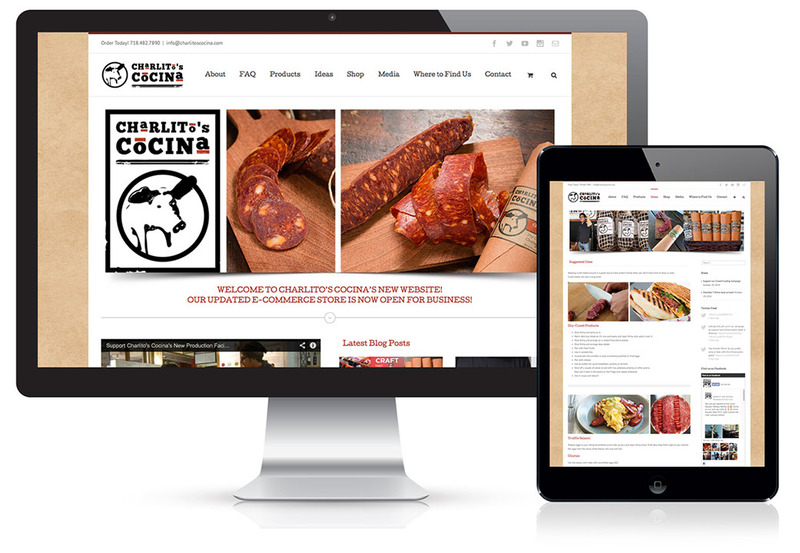 The website was built and designed with an integrated Woo-Commerce store and CMS system that Charlito's can easily update on their own. We really had a blast working with Charlito’s (and eating their product at the shoot along with other goodies we got to take home!) and look forward to the growth of their new facility with continued success in the coming year.